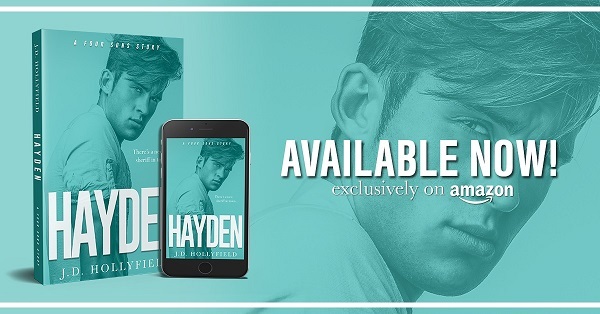 Hayden is the second book in the Four Sons series. The books should be read in the order they were written. including the Four Fathers books for the plot to make sense. Hayden is the oldest brother. After Eric's death he is left with a billion-pound weight on his shoulders. Eric made it so he is still controlling what Hayden does with his future. 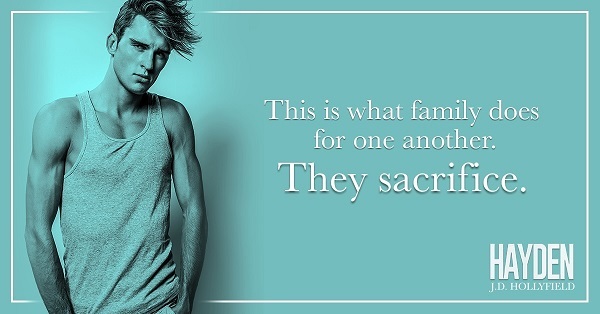 He's been left with fifty-one percent of Four Fathers and to care for his youngest brother, Cam. Hayden has theories about his father and the past after finding information his mother left in the attic. Hayden's obsession over this information could cost him everything. 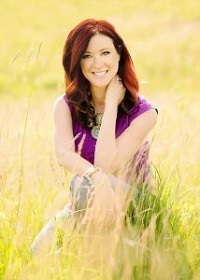 Katie, Lucy's best friend, is someone he thought he could count on, thought she had his back. Until words he said couldn't be taken back. 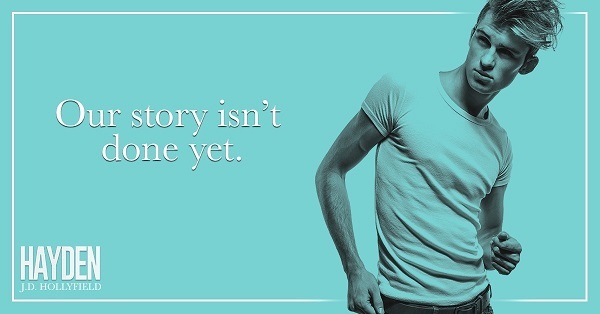 Will he continue to fit against what he now knows is the truth? Is Katie willing to stick around and fight for them? Hayden, to me, was always the dark. unnerved brother. I was so happy to finally get his story and see things from his point of view. He and Eric were so similar it's understandable why they butted heads so much. I can't wait to see what lies ahead for the most secret keeping brother, Brock. 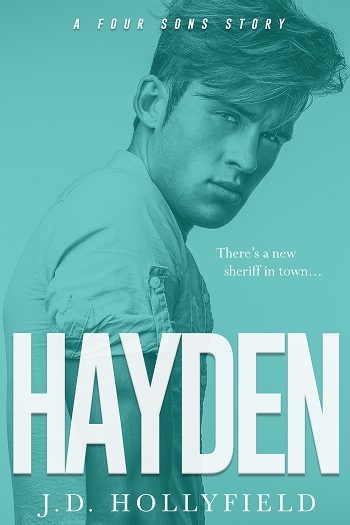 Reviewers on the Wicked Reads Review Team were provided a free copy of Hayden (Four Sons #2) by J.D. Hollyfield to read and review for this tour.